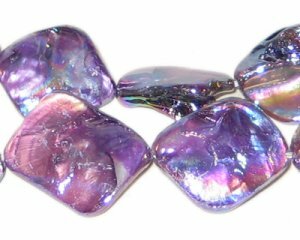 These are 14 - 21mm Purple Irregular Diamond Luster Shell Beads on a 12" string. Great delivery and prices. Was very pleased with my order and how quick I recieved it. I cant stay off this site.. ugh, Im addicted. Thanks!